Following more than 18 months of design, testing and homologation, the finished Ford Mustang Supercar racer has been unveiled. Wearing an official Ford Performance livery, the V8-powered Mustang has ditched the camouflaged disguise it had previously appeared in. It means we can see just how dramatic the transformation into a machine able to compete in the Virgin Australia Supercar Championship has been. 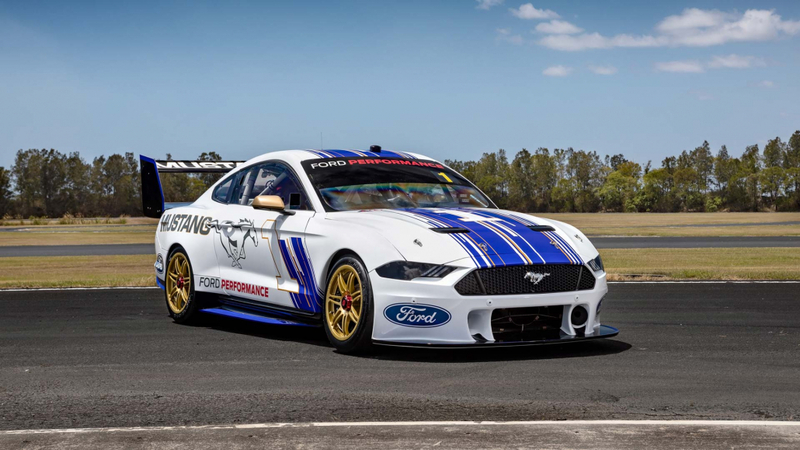 With the cars used in the Virgin Australia Supercar Championship sharing multiple common components, including a standard chassis, the Mustang has been a labour of love for Ford Performance. Championship regulations are designed to ensue parity between the competing brands, helping to promote close racing. Wind tunnel testing means no car should have an aerodynamic advantage. It means that giant rear wing is perfectly legal in the eyes of the series organisers! Accomodating a chassis designed to fit four-door cars like the Holden Commodore and Nissan Altima has tested the design skills of those involved. The proportions may appear slightly skewed from some angles but, most importantly, it is still very much recognisable as a Mustang. 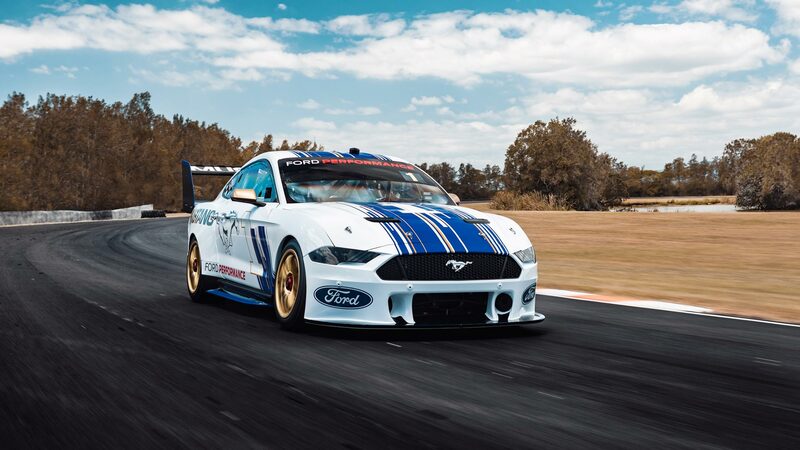 A total of six Ford Performance Mustangs will compete in the 2019 Virgin Australia Supercar Championship, fielded by three different teams. Most significantly, 2018 Supercar Championship winner Scott McLaughlin will be behind the wheel of a Mustang for Shell V-Power Racing. McLaughlin commented “we’ve got a weapon on our hands” when describing his new steed. We’ll get to see the Mustang first hit the track in anger on Valentines Day, with a February 14th test event. The full race debut will come two weeks later, seeing the Mustang tackle the challenging Adelaide street circuit for the Superloop 500 race. Based on the video footage released by Ford Performance, racegoers in Adelaide will certainly be able to recognise the sound of the Mustang as it passes.